Since I'm sitting here in no-public-transportation land (a dismal place to be, y'all), I'll indulge in some nostalgia and fond shouting out to one form of transportation I didn't use a lot in Austin: the UT shuttle system. 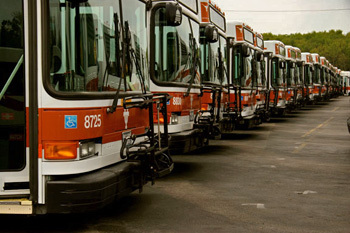 In the last couple years, CapMetro has made some changes to the shuttle system, notably cancelling one low-performing route and beginning to upgrade their fleet to buses that carry fareboxes, as well as having the same look and branding of the rest of the bus system fleet. Up until recently, the shuttles had all-door boarding and no payment was required (technically, non-students were supposed to pay, but that's hard to do when there's no farebox). Now, students have to swipe their student IDs and the general public has to pay to ride, just like on every other bus. While I'm sure this cuts down on lost fares, it also slows down boarding. Time will tell if that's a good trade-off. The orange-and-white UT buses are on their way out. Source: UT Parking & Transportation page. Anyway, on to singing praises. Generally speaking, the shuttles are good for two things: 1) Going to campus, and 2) Going from campus to another place served by the shuttle service. Plus it's a limited-stop service, so while it's always crowded, it is also usually faster than the comparable local bus service. A few months ago, I had to go across town in the morning, changing buses downtown, for a total trip time that was somewhere between "I could be halfway to Dallas by now" and "Are you freaking kidding me?" Then I remembered the UT shuttles. I rode one to campus, changed buses, then had a bus all to myself (since I was going opposite the direction students were going) for the second half of the trip. All in less than half the time door-to-door than a regular local bus would have taken. I'm not necessarily encouraging that the people of Austin go out and invade the student shuttles in droves--although perhaps if they did, CapMetro would have a bit more incentive to make the regular buses as frequent and convenient as the shuttles. And that would be an even better thing that a few specifically useful routes: for every route in the CapMetro system to be as useful, frequent, and easy to ride as the UT shuttles. Now, if my hometown would just get on board with the public transportation thing. As ever, I'm happy to hear from anyone on this, although there is a particular audience that's more qualified to answer than others. At some point, I have to go to my parents' house and deal with my other book collection-- the one that hasn't travelled with me through the years, the ones that served Kid Me and Teen Me well, but that 22-year-old me didn't have room for right away in my new life. But now that my parents are approaching senior citizenhood and I'm cruising toward middle age, it's probably time to finally get all my crap out of their house. There's no telling what I'll find among my book collection. It may be that 22-year-old me was correct and my former library will make a one-way trip to the local Goodwill. 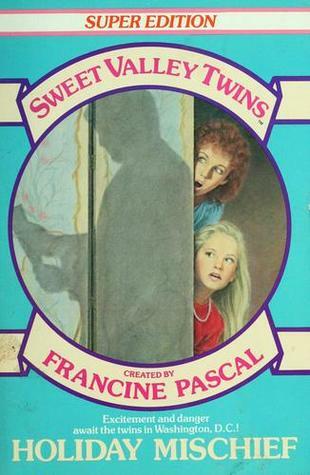 However, there's one set of books that I know for sure awaits me: Sweet Valley Twins. If you saw these books in the wild, would you cover your children's eyes and run away screaming? Obviously, the folks most qualified to answer this are anyone who was in the right age group to read these when they were popular--middle schoolish in the late 80s and early 90s--and who also have children who might be affected by Sweet Valley exposure, but as I said, I'm happy to hear from anyone. After all, there's part of me that wants to use these books for kindling rather than let any young eyes near them. But maybe I'm missing something. What say you? When I was young, free library cards at our local library were restricted to people who lived within the city proper. While that policy has since changed, I discovered last week that the same local library carries not a single book by Richard Florida. It's like they're making up ways to interfere with my reading life. I kid. This library was my second home starting from about age 9, and it's rapidly becoming so again as a happy place where I can get a lot of work done sans distraction (and without having to hand over cash, like I do at Starbucks). I simultaneously barely remember it but also remember it very, very well. My love of books may not have been born here--that's a hard spot to pinpoint--but I will give them heaps of credit for helping it along. It's definitely my earliest memory of being surrounded by bookshelves crammed with books, with the sacred scent of pages heavy in the air. By the time I came along, it was obvious that this building was inadequate to house the books a growing community needed, but that didn't stop me from weeping and gnashing my teeth when it was announced a new library was coming. 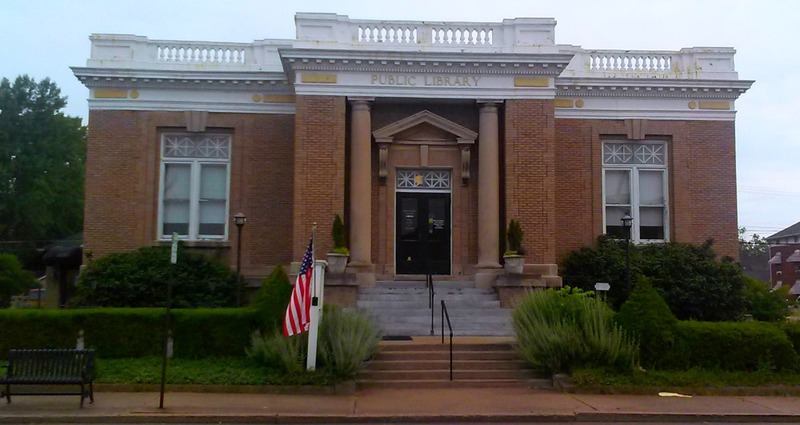 Incidentally, this building was a Carnegie Library, and it opened in 1909, next door to the then-high school. These days it's a restaurant. Once I reached an age when my parents thought I could be trusted to walk to the library after school without getting run over or wandering off, that's what I did, at least twice a week. On the library history page, there's this gem from much later on: "Library Director Susan Waggoner writes in the Daily Reporter that over 2,500 items for the month had been read 'in-house,' many by non-residents who chose not to pay for fee cards which would allow them to check out materials." I'm pretty sure a huge chunk of that was from me (in fact, I'd like to believe that my departure brought those numbers down a bit) until my parents decided they'd better get us all cards when I was headed into high school. This building has housed a church for a few years, and now is undergoing renovation to be an alternative school setting for students who struggle in a traditional classroom. Library #3 has never been "my" library, until now, kinda, even though I've been in it a few times on other visits home. To a brain shaped by two other libraries, walking into this one is a bit like coming home to find out your parents have moved. However, it is a gorgeous building, a hub of all the community activity worth going to (IMO), and it has a very cool automated sorter when you return your books. Someone had the foresight to build a multiuse path up to in from three different directions (you're on your own if you live west of the library, it seems), so the trip there and the time spent there are both enjoyable. Having one library as the library is taking some getting used to, since I've lived my entire adult life in cities that have multiple branches to visit. But that's a small thing when the only library available is still excellent, despite the lack of Richard Florida books. I'm hesitant to write about the job search process, just because all the advice for jobseekers points to it being a terrible idea to ever admit online that you're looking, and even terribler to say that you're frustrated. But I am, both of those things, and I know I'm hardly the only one who's doing this right now. Writing it down is a fast way to find out just how much worse it can get, methinks. There's the initial step-- this job description sounds good,. Then researching the company--yeah, okay, this sounds like a place I can spend 45+ hours of my week. Refine the resume for this company, agonize over the cover letter (except we're supposed to be writing Pain Letters now), read both backwards to find any sneaky typos, hit send. Fix a drink, lie down for a few, rinse and repeat. I don't do HR for a living, so I have no idea what the percentages are on how many of my resumes are likely to make it past the initial screening, or how many of those pique anyone's interest enough to go into the possible-interview pool. I'm guessing the odds are not technically in anyone's favor. And then there's the interview process itself--don't say anything dumb, try not to fall down, don't fidget, make eye contact but not too much eye contact, and even if you get all that right, the interviewer(s) still may not like you just because of something goofy that's outside your control. Eventually, I know this will turn around and I'll land the right job (or one of the right jobs--I'm not looking for my soulmate, here). I can't wait to have somewhere to go every day, and more importantly, my own space to come home to at the end of the day. I appreciated beyond measure relatives who are willing to let me crash on the cheap, but I have got to get my own rooms with no other people in them. And some local public transportation, for goodness' sakes--that's the worst part of being stuck in my hometown. And those things are pretty good motivation to keep searching and end this interlude as quickly as possible. 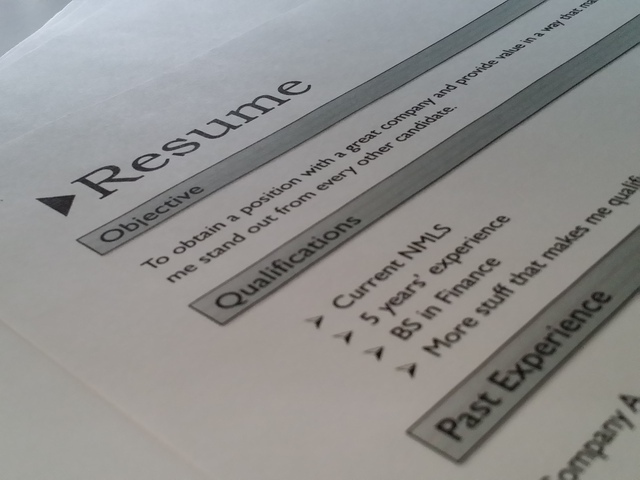 How long was your last job search? I caught a glimpse of my former self yesterday. 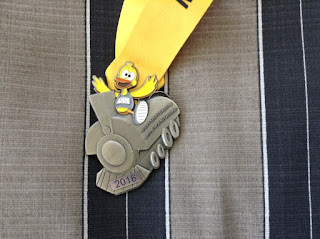 I ran a 5K; just a small local race (about 100 participants) for a good cause, with an entry fee that was reasonable, and the promise of a free t-shirt and chip timing. It was my fastest 5K in years--but that's partly because I don't often run 5K. 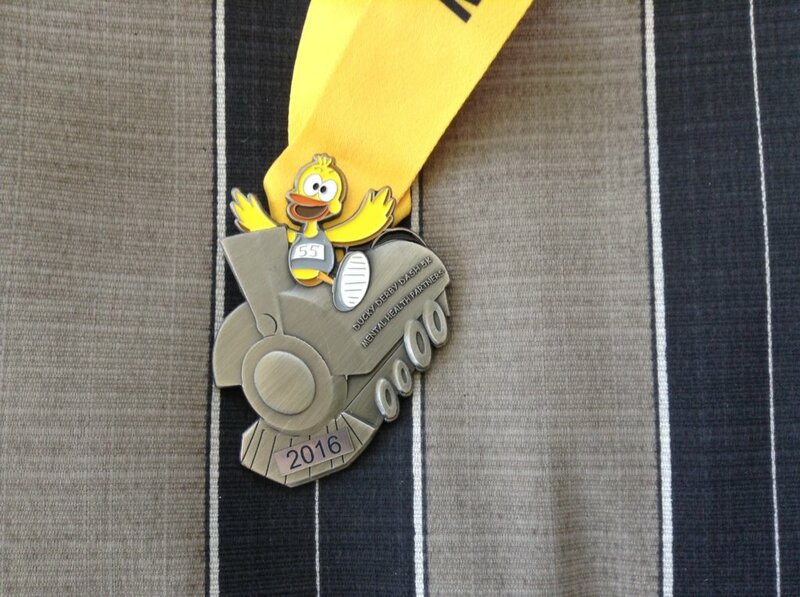 And I got a medal. We did an out-and-back along the local rail-trail, starting and finishing at the courthouse. And along the trail, I ran into me. The runner who used to live for race days and worked hard in between to shave just a couple more seconds off her fastest times. The runner who relied on her daily runs to provide good mental health along with the fitness and other good stuff that goes with running. The runner who never let her goals for a race get in the way of having fun and enjoying the camaraderie of the local running club. That runner. She was back, if only for 30 minutes on a Saturday morning. I liked being her. I'd like to be her again--maybe a slower version, one whose mental health doesn't bounce back after a run as easily as it used to, one who might not (yet) like to devote another six months of her life to getting ready for one big race like it's the Olympics. Maybe one who uses running to make new friends in a new place. Maybe one who just wants to go fast enough to keep the pounds from creeping on but doesn't fret over a few seconds' worth of pace here and there. What else am I missing out on by fretting? Wow, it's been a while since I've done one of these! 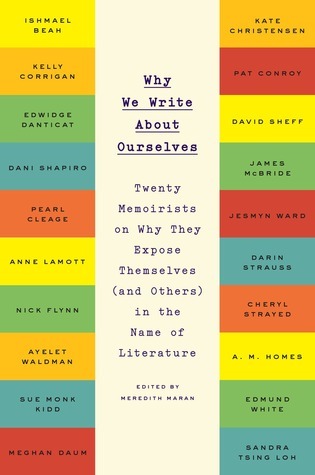 "A novel will be a deep archaeological work." "Anyone you'd ever want to be friends with has had a tremendous amount of wounding in their past." Have I mentioned seventeen or eighteen times that my staying with my grandmother has forced a few lifestyle changes on her--changes that she probably would have liked to live without, at the age of 83? No? Well, add another one to the tally. My whole life, my grandma has put veggie peelings and other potentially smelly trash into an old bread bag that lives in the freezer until trash day. (Sometimes she also puts them down her disposal, but either way: trash.) The day I arrived, I put an empty plant pot outside, dumped some dirt in the bottom, and started throwing in veggie peels and eggshells. She got used to this in a hurry and now saves her own eggshells and veggie clippings for me to toss into the pot. Easy peasey, y'all. last summer. Those giant, non-tomato plant leaves? Get a container. Outside? Get a plant pot with drainage, or a trash can with a lid and bang some nails in the bottom for drainage before you start using it. (Take the nails out. You just want the holes.) If you go the plant pot route, plan to regularly cover it with dirt so your eggshells don't blow away due to lack of something to hold them down. Inside? Get a good-sized container with a tight-fitting lid. I can't over-emphasize this: if your compost is sharing your living space, keep it covered to deter fruit flies and keep any smells from getting out of hand. Plan to regularly add either dead leaves or shredded paper. (Not the slick ads that come in your mail! Keep it un-slick. Regular newspaper works.) This keeps it from getting too heavy in nitrogen. You need a mix of carbon and nitrogen for everything to break down nicely without smelling horrible. Compost too smelly? Add more leaves. Start throwing things in. Potato peels? Yep. Strawberry tops? Absolutely. Seeds from your green peppers? That's how I get volunteer plants, y'all. Throw it in there. See a nice long list of compostable things here. Wait a bit. Soon it will break down and be nice and crumbly, ready to plant stuff in. FYI: I often plant stuff in the compost while there are still visible veggie peelings hanging out. It continues to break down, the new plant gets the benefit of the old stuff's nutrients, and I don't have to wait as long. Win-win-win. What to do with the compost once it's composted? I plant things in it, to avoid trips to Home Depot for giant bags of potting soil. You can spread it directly on your outdoor garden, if container gardening isn't your thing. Give it to friends who garden but didn't have the foresight to compost their own veggies. Or sell it by the pound on Craigslist. Turning your old veggies into new cash-- now that's magic. Y'all, how great were the Tony Awards on Sunday? My favourite of all the awards shows, and now it's a long wait until next year. 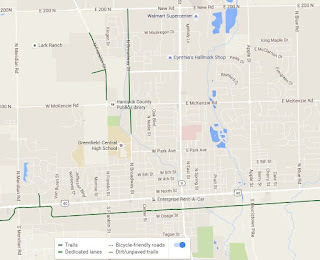 I have to give lots of kudos to my hometown for being a good place for biking and walking. First of all, it's flat (okay, the city shouldn't really get congrats for that), and since the city was built before cars were invented, neighborhood streets are small, have sidewalks, and people drive at (mostly) reasonable speeds through most of town. Even the two highways that connect through town aren't terrible for riding, although I much prefer using the sidewalks if I have to ride there. The city being built pre-cars works two ways here: there is no space to install any more infrastructure on the two main arterials, because the buildings are built right at the sidewalk. So, the city can't put in a protected bike lane, but neither can they widen the road to encourage more high-speed traffic. The crown jewel of the good things here for active transportation: we have a gorgeous rail-trail right through the middle of town, and a couple more multi-use paths near schools and the library. So while I was strolling along one day last week, I wondered, What would I do next? Be warned that these thoughts do not come from a professional city planner or engineer--they're just next steps that I would love for the city to take. 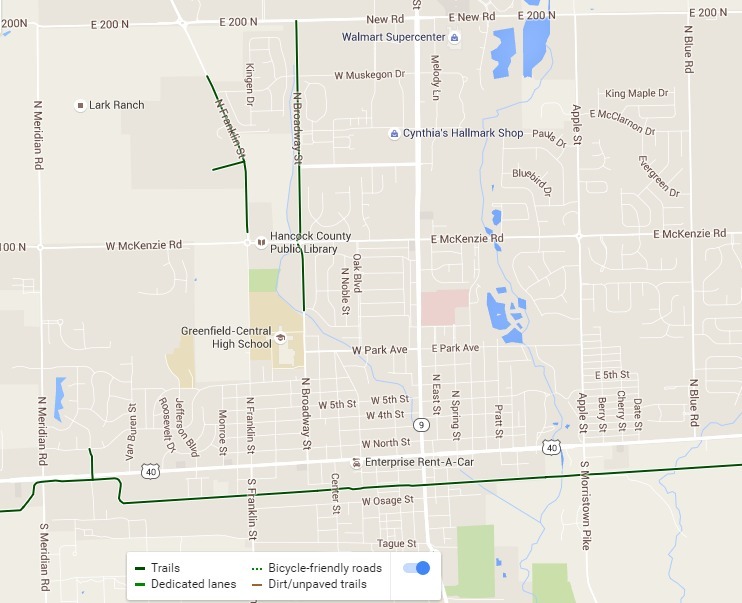 First, obviously, the multi-use path on Broadway should connect to the east-west rail trail at the bottom of the image. And really, it almost does. There's a sidewalk that picks up on the south side of the high school and continues down to the trail that works great. Similarly, by all rights the connective bit between the two north-south multi-use paths along McKenzie Street in front of the library should be dark green as well--it's the same path. So, what's lacking? Signage indicating that this is a bike/ped path, preferably with wayfinding elements like how many minutes' walk it is to the high school, or the library, or the trail. Next, I would put in a multi-use path the length of 200 N/New Road, to help build up the network and to increase access to employment centers and the junior high school. Right now, there's nothing, which is a gross disservice to the folks who live and work there, and it's something that should have been installed when developers started building in that part of town. After that, the city should begin designating bike routes (more signage!) and looking after sidewalks on the other north-south streets. Obviously this city was not well planned, since there are so few through streets in town, but on the upside that leaves neighborhood streets very quiet and easy to bike or walk on. This is a huge advantage that should be played upon for active transportation. And finally, all those goofy little subdivisions that don't connect to each other? Stick in some bike/ped paths connecting them to give people more access to easy walking and biking spaces, but without increasing car traffic in neighborhoods. That's what my non-engineer, non-city-planning self would do if it were up to me. What would you do in your hometown? I was in the library a couple of days ago, trying really hard to remember where I am on my reading challenges for 2016 and indeed, which challenges I even signed up for. So it's lucky for me that I write (almost) everything down for posterity, yes? Well. I only wrote down one book in those three months. I started a bunch, some of which I've now finished, so my June post should be a lot more interesting. Still, here's the update (I've pulled forward the ones that I don't have an update for, just so I'm on track for next month). I really need to start writing the update post at the beginning of every month so I can write these down as I go along. It seems unlikely that I read only one book in three months--I mean, re-reading to de-stress is one of the reasons I keep all my old books around, for those times when I can't give a new book the attention it needs. 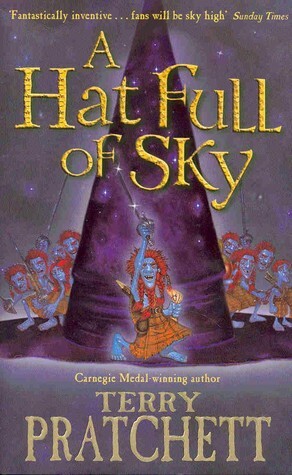 But since I don't record re-reads on Goodreads, they remain unrecorded and lost in the slushy mess that is my brain. What are you reading right now? What am I missing out on? Edit: I wrote this before I heard the horrible news in Orlando. My heart breaks for the lives that have been shattered, and for a nation where we allow this kind of violence to continue. I thought about holding off on publishing this, but while no amount of words will solve this, no amount of silence will, either. This messy world we live in can use all the words we can find, even the lighthearted and silly ones that are my specialty. 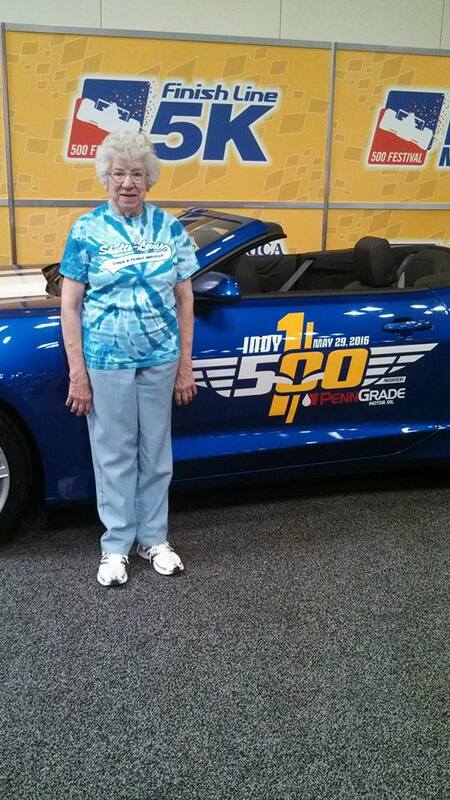 My grandmother has been widowed for nearly nine years, so in this as well as every other thing in life she has a great deal more experience than I do. My grandmother also believes that it's possible for one to be widowed and swear-free. I mean, she isn't really. It's working out for her to go through life alone and with pristine language, probably because she had pristine language before she had to take on the world by herself. I, on the other hand, realised some time in my teen years that the occasional swear word makes this planet a lot more bearable to be on, and if I have to be on this planet by myself, I'm bringing along whatever four-letter words I darned well please. Anyway. 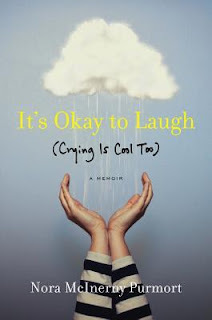 All this to say I just finished Nora McInerny Purmort's book It's Okay to Laugh (Crying is Cool Too), which is her memoir about losing her husband to brain cancer. Nora founded the Hot Young Widows Club, a group for which I am daily thankful, because they're awesome, we all get it, we can talk about the realities of what this phase of life is like when it arrives about 30 years earlier than usual. And it's a space where it's okay to use whatever language seems appropriate to what we're feeling on any given day. Much like Nora's book (don't read it if you're going to be offended by the language. She doesn't pull punches), which had me giggling, crying, and nodding along. It was a comfort to have them, but grief is not a set weight to be distributed equally. It cannot be portioned and divided. It's hard for me to be around my family...and this is why. Grief is lonely, no matter how many other people feel it. They are different, each one, because we've lost different people, different versions of the same men. We are each carrying our own load, and is is ours alone to bear. The people at the center of this grief, by the way? We get that you don't know what to say. I've been doing this for 1.25 years, and I don't know what to say to other people, either. I have a long list of what not to say, but my list of what to say is still inadequate. There are moments that the words don't reach, indeed. So if you hear me using words that you find a bit shocking, know that I'm doing it because those are the words that reach the farthest into how I'm feeling. The last couple of months I lived in Austin, I borrowed an electric bike from work for commuting and other longer trips and left my own bikes at home for neighborhood-based trips. And it was very cool. This bike, which still has no name. First of all, a definition: an electric bike is one with a battery and a small motor to assist the pedaling action. Most state laws (and the industry standard) limit the assist to 20 mph; once you hit that speed, the motor cuts off and it's up to your own legs to keep you going that fast (I can't). The motor generally can only be activated if you're pedaling-- if you stop to coast, so does the motor. And finally, most bikes have levels of assist from just low enough to offset the weight of the bike, to fast enough to feel like you're flying. So the first few days I kept the assist relatively low, maybe bumping it up a notch for some help going up hills, but still low enough to feel like I was doing some work. And then one day I thought, "Why not see what this thing can do?" and I got home in about 25 minutes. (That's faster than the same car trip would take, by the way, and about three times faster than the bus.) It's times like these that singing "Defying Gravity" while riding is especially appropriate. 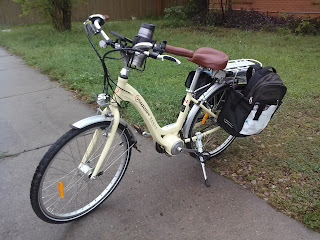 By the way, an electric bike is also a good solution to the problem of riding to work without getting sweaty, or carrying kids, or having aging muscles--it takes some of the strain off of you as the rider, even while you're still burning calories and having fun. Obviously, this is not a bike for training for the Tour de France (or the tour de anything). After about a month of flying over the hills of Austin as fast as I could, I remembered that I was going to have to hand that thing back over when it was time to move, so I brought the assist back down a few notches so I could remember what it's like to out some effort into riding a bike. Still pretty awesome, though, and I think my next bike may be a cargo bike with e-assist. 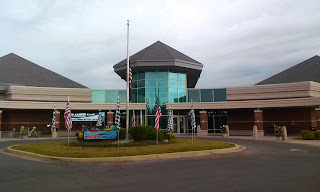 along to the race expo. This race was on my bucket list for 19 years. 19 years. I'm like the Aaron Burr of recreational running. When I was 19, I watched coverage of the Indy Mini for the first time. I was sitting in my parents' house channel flipping, and when I saw the crowds of runners, I thought, "I want to do that." Little did I know I'd double my age before life and I finally got on the same page about me doing that, but this year was finally the year. 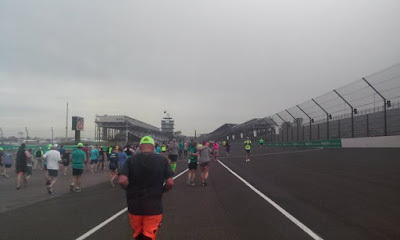 2016 was the hundredth running of the Indy 500 and the 40th running of the Indy Mini, so they went all-out, up to and including Meb Keflezighi starting from the back of the pack so that as many people as possible could run with him. He passed me right at the three-mile mark. pickup because I'd come from so far away. Was this race everything I'd hoped? Indeed it was. Crowd support was great, organization was fantastic, running on the Indianapolis Motor Speedway was absolutely brilliant (yes, I kissed the bricks-- if you're gonna run this race, better go all-in), finishers medal is spectacular. And the volunteer put it on me, which was really cool. My family came along, even though I warned them they would be bored, but it seems they don't mind standing around downtown Indianapolis with thousands of other people for four hours. The start times were staggered, so that after they saw me cross the start line they didn't have long to wait until the race winners came in. I already registered for next year. Who's with me? straight ahead of me, in front of the pagoda. (I don't know why there's a pagoda at the IMS.